A lovely arrangement presented in a gift bag. 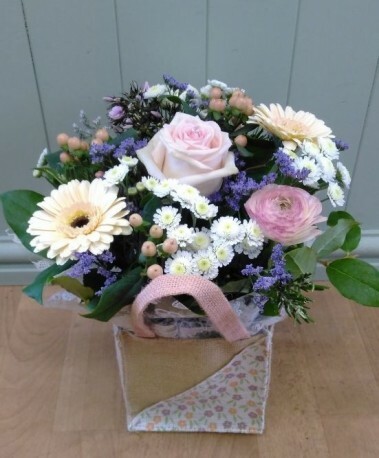 Fres seasonal flowers in pale pinks, purples and creams to include foliage. (gift bag may vary).